These popular filters are renowned for their ability to minimise reflection at the filter surfaces which reduces flare and ghosting. The result is an average light transmission of over 97%, giving sharp contrast and well balanced color. 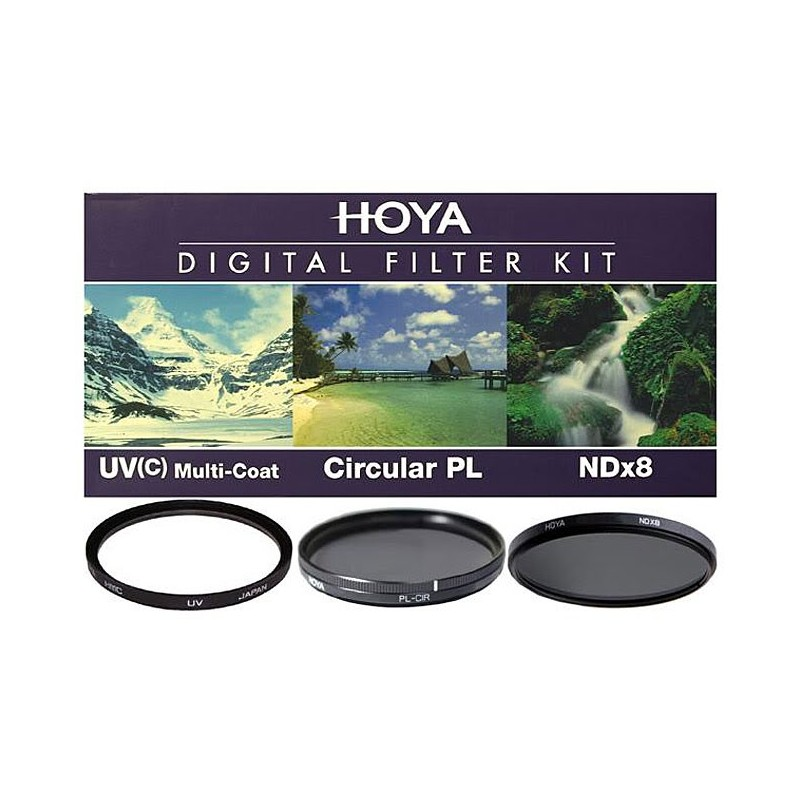 Hoya HMC Digital filters are recommended for enhancing the performance of today's multicoated lenses. The Hoya Circular Polarising Filter allows you to significantly reduce reflections and glare from non-metallic surfaces. A camera angle of 30 degrees from the reflecting surface (glass, water, etc.) is ideal for maximum effect. The Circular Polarising Filter also enables colours to become more saturated and appear clearer with better contrast. This effect is often used to increase the contrast and saturation in blue skies and white clouds. The kit comes with a handy filter pouch in which your filters will be safely guarded and that will fit within your gear bag.